New Jersey has lost a favorite son. You may think I am talking about James Gandolfini, who was a fine actor who played some very important roles and shuffled off this mortal coil far too soon. However, today it is not for Tony Soprano that I grieve. It is for Richard Matheson. I admit, it bothers me somewhat that Gandolfini’s untimely death garnered so many headlines while Matheson was more of a footnote. It bothers me that you probably don’t recognize his name at all – but you do recognize his work. You see, Richard Matheson was one of the most brilliant science fiction and horror writers of the last century. He was a giant and his thunderous footsteps shook our pulpy world. Richard Matheson was a giant and his thunderous footsteps shook our pulpy world. This is the man who wrote 16 episodes of The Twilight Zone, including some of its most memorable (“The Invaders,” “Nick of Time,” “Nightmare at 20,000 Feet”). He wrote the screenplays for Roger Corman’s best Edgar Allan Poe films – The Raven, House of Usher and The Pit & the Pendulum – and penned the classic Hammer flick The Devil Rides Out. His novels, as often overlooked by readers as they were adapted for the big screen, are nothing short of brilliant. I Am Legend. Hell House. The Shrinking Man. A Stir of Echoes. His short story “Duel” launched the career of Steven Spielberg. His work inspired Stephen King, George Romero and Anne Rice – and through them countless others. Richard Matheson’s influence is incalculable and his loss unfathomable. 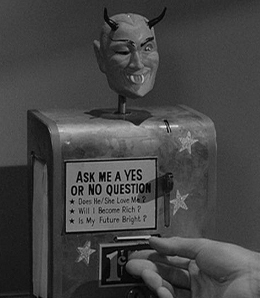 Some of my earliest memories of TV are the annual Twilight Zone marathons. As cliche as it may be, “Nightmare at 20,000 Feet” was always intriguing and frightening and it opened my eyes to the horror genre. I remember the first time I saw Spielberg’s “Duel,” I was blown away by the unyielding anxiety the film elicited. It wasn’t until much later on in life that I realized these milestone moments were somehow connected and that writing and screenplays were so valuable. Richard Matheson’s contributions will forever be legendary to both the horror and sci-fi world, but his life’s work will live on to scare and attract a whole new generation of kids. Like a lot of my generation, the first time I ever came across Richard Matheson’s work was during a Twilight Zone marathon. As I watched a slew of episodes, I came to realize my favorites – “Nightmare At 20,000 Feet,” “Little Girl Lost,” “The Invaders” and more – were written by Richard Matheson. A few years later, my friend Shawn lent me his copy of Matheson’s haunted house novel, Hell House, and that is where I really learned to appreciate the author’s mastery of not just science fiction, but horror too. Reading Matheson for the first time is like discovering the the last piece of a Rosetta Stone for Stephen King, Peter Straub and so many other contemporary horror writers. H.P. Lovecraft was the master of the weird, but Matheson’s characters are real. Their failings and victories are relatable no matter how fantastic or macabre the setting. His work will stick with me for the rest of my life. I can’t set foot on an airplane or a chapel without thinking of “Nightmare at 20,000 Feet” or Hell House respectively. Rest in piece, and thank you for the scares, Richard Matheson. In the seventh grade, I had the good fortune of landing in Mr. Marciciak’s Honors English class where I was exposed to Richard Matheson’s classic, I Am Legend. He dedicated a few weeks to having the class read it aloud, together, so we could discuss it in real time as the story evolved. We could tell he looked forward to this lesson all year and, soon enough, it became the class we most looked forward to as well. Every day for 50 minutes, we bonded as a community as we discussed themes of isolation and subjectivity and reflected on the existential dread oozing out of every narrative pore. Balancing the external threat with the internal struggle was a hallmark of Matheson’s that’s been bred into our modern fiction. There’s no escaping his influence. Back in class, the teacher explained how George Romero’s zombies were inspired by Matheson’s “infected,” to be sure, but the real influence drew from the personal struggles of the individuals under threat, and the way those struggles posed morally ambiguous questions that may not have a right or wrong answer (or an answer at all). That was the first time I really became aware of his creative lineage. It’s like listening to a band you love, then going back to discover who their influences were (then seeking out their influences, and so on). Matheson goes back so far he’s just part of the DNA of modern horror and sci-fi. He’s the Muddy Waters of pulp culture, having inspired an entire genre of paradigm-shifting, apocalyptic terror. If it has “Dead” in the title, chances are that seed was planted decades ago by him, our beloved patient zero. Yes, you are. Thank you, Richard Matheson. Rest in piece. I didn’t want to fly for years after the first time I watched “Nightmare at 20,000 Feet,” thanks to Richard Matheson. My original exposure to it was actually in Twilight Zone: The Movie, when John Lithgow emotes absolute fear and terror at the sight of the stylized ’80s horror movie gremlin on the wing. During that time, my family and a young, easily-impressionable me flew fairly often, so the modern setting of the classic Twilight Zone scenario made it that much more relatable and terrifying. Just the concept of flying in already dangerous stormy weather conditions and seeing something out of the corner of your eye on the wing is scary enough, let alone that fear made into a physical monster. Rest in peace, Mr. Matheson, and thank you for scaring me. The Last Man on Earth and The Omega Man were both basic cable staples for me growing up, but I had no idea they were connected in source material to Matheson’s I Am Legend. I didn’t even know who Richard Matheson was until my horror fiction reading in high school led me to the original book that spawned so many adaptations. After becoming aware of him, so much of his work and influence became apparent, from numerous excellent and imaginative Twilight Zone episodes like “The Invaders,” “And The Sky Was Opened,” “The Last Flight” and, of course, “Nightmare at 20,000 Feet,” to numerous other contributions to many horror and science fiction TV anthology series of the ’70s and ’80s. Not only that, but he also wrote the teleplay for the original TV movie of cult favorite Kolchak: The Night Stalker and “The Enemy Within,” a classic Star Trek episode! Matheson’s influence on TV, film, and horror and science fiction literature is immense. For better or worse, without I Am Legend there would be no mass zombie (or vampire) movies like Night of the Living Dead and its progeny, 28 Days Later, The Walking Dead, Salem’s Lot and World War Z. To this day Matheson’s output is being adapted into films like I Am Legend (2007) and Real Steel (2011). It’s all easily accessible, and all 16 of his Twilight Zone episodes are available to watch on Netflix Instant and also are still in reruns on multiple channels.